It has been quite some times after my last visit to The Mines Shopping Fair. I never really walked around except storming to the cinema up there. On my recent visit to The Mines, I had a chance to walk and shop around with her, who was looking for some working clothes. Little did i know, The Mines Shopping Fair has had a new face and new eateries are everywhere; how nice if we could get a chance to try out all of them during the lunch time. 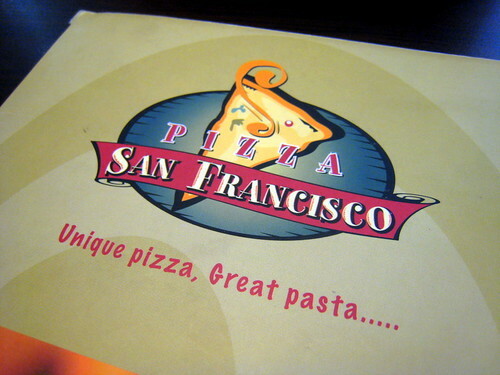 We ended up in Pizza San Francisco for some affordable Italian food. 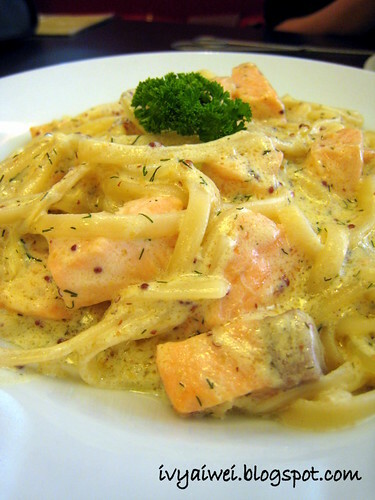 Linguine Salmon (RM 17.90) was served with dill creamy sauce and lots of salmon chunks. She loved her pasta creamy. She polished her plates shinny and left with satisfaction. 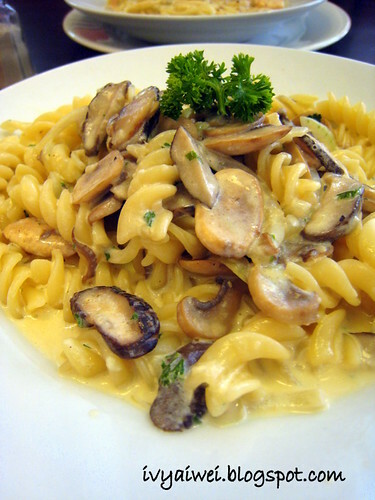 Fusilli Mushroom (RM 14.90) was served with a lighter creamy sauce and came with the perfect match of wild mushroom and pasta. If you wish for something not too filling, do try this out. Look quite normal only huh. ermmm, maybe they have other branches o outlets too… kekeke. Ahhh, pasta, my favourite, easy too cook! the salmon are generous in size. Mines!! What a blast from the past!! Have they still got the water taxi thing happening? it's been years since i last went to the mines. they have changed alot? 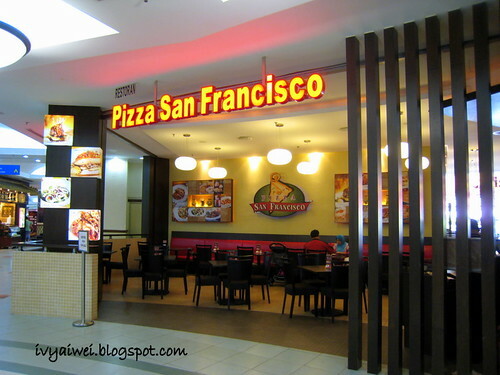 The food here looks good and affordable. I ate there last night. Food was horrendous. Definitely feel cheated coz I paid RM25 for a bland-tasting Santa Barbara Chicken. Not up to standard at all!